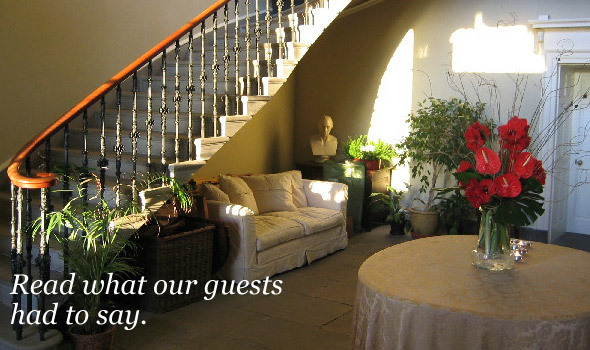 At Wedderburn Castle we aim consistently to deliver an experience that you and all of your guests will enjoy and remember for all the right reasons. Whatever your event, we understand just how important it is and we take pride in making people happy! Superb everything!! Thank you so much for a truly wonderful stay. Nov 2011 TU&CL Hants. Outstanding weekend. Fantastic location and hospitality. A really memorable time, thank you! May 2011 J&JH Notts. Thank you for a fantastic wedding weekend. Everyone had a great time and were complimenting the staff and the chef. Thanks for all your hard work. May 2011 SW Fareham, Hants. On behalf of the Scottish Borders Food Network, I would like to thank you very much for hosting the dinner at Wedderburn Castle for our Banquet and Taste Awards on the 25th January. The castle is a perfect backdrop for a Scottish banquet! We have had very good feedback about the event and an enjoyable evening was had by all. We hope that we can repeat the Taste Awards in future years ...and continue to develop strong links between our food providers and food producers, thus establishing the Scottish Borders as a world class destination for outstanding food and drink. We wish you all the best for a successful season. Well organized and great wedding party for my daughter. Thank you very much. Feb 2010. EC, Hong Kong. Just wanted to thank you for a fantastic weekend. The awesome setting, warm welcome, great food and friendly professional staff combined perfectly to deliver an unforgettable time for us all. Feb 2010. Richard Cotter, Brand President, Berghaus Ltd.
"Intelligent and truly classy in an authentic, understated and solid way. Impeccable and thoughtful service, chef to be the pride of any place, every dish a discovery. Thank you all for a genuine welcome." "Unforgettable day out, absolutely magnificent. Thank you from us all." "An unforgettable weekend- words can't express what a fantastic wedding day we had! Thanks for everything." "Absolutely fabulous. Wonderful castle, facilities and service. Thank you! "The whole experience was wonderful. David and his staff surpassed all expectations. Thank you." "Thank you so much for making our wedding weekend truly unforgettable. The setting, the food and the incredibly efficient but unobtrusive service were all beyond superlatives - we really couldn't have asked for anything more. Our sincere thanks for making our wedding as perfect as we had always dreamt. "Brilliant weekend! Everything was perfect from the setting to the service, all made better by the great staff. Food was amazing, thanks for a great time." 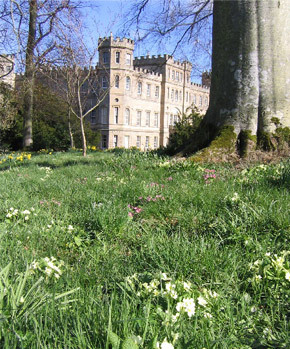 "A fantastic weekend, made even more special with a wonderful setting and first class service. Thank you all"
"The venue and service has been incredible, and the food too!" "Thank you very much for making our daughter's wedding day such a special occasion. Everything was perfect. Staff excellent, always willing to help. Food excellent, many thanks to the chef. Flowers perfect. We could not have asked for more, even the sun shone." "It has been over and beyond whatever we imagined and could wish for. Justin (Head Chef) and all the team behind the scenes, thank you so much. We had the wedding of a lifetime; everyone has praised your efforts. Thank you." Wedderburn is an exceptional venue for anniversaries, house parties, re-unions and all kinds of events and celebrations.